What is a Level 1 Coach? The Level 1 Coach can plan, deliver and review short coaching sessions. Level 1 Coaches are qualified to assist delivering aspects of Surf Life Saving sessions, are not trained to coach a specific Surf Lifesaving discipline and can work with Surf Lifesavers from any of the competitive or non-competitive disciplines. A Level 1 Coach can be qualified at age 16 to help out during activities at your Surf Life Saving Club or assist the Coaches at your club. It is the minimum qualification and normally must be under direct supervision of a Level 2 Coach. SLSGB would also advise a basic first aid awareness and knowledge of safeguarding children. 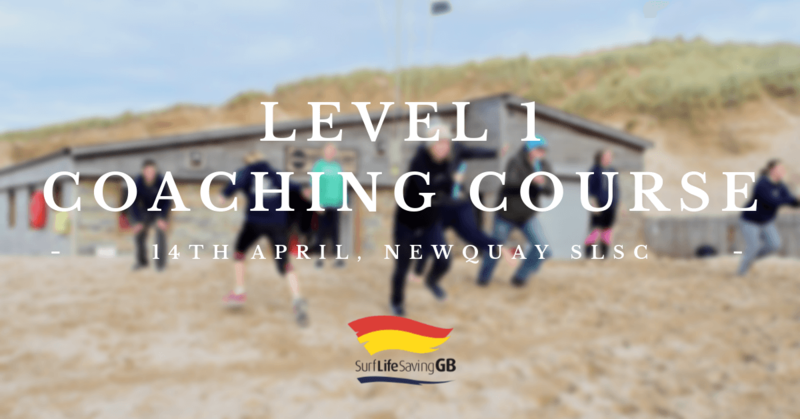 Course Description: The course is the entry level to coaching Surf Life Saving (SLS) sports in Great Britain. Its focus is on safe practice, basic communication skills and gaining the background knowledge of the environment, equipment, fitness and skill components relating to SLS Sport. The skills and knowledge gained are transferable across SLS disciplines (swim, board, ski and beach) and age ranges from nipper to master.